Fantasy golf continues to grow in popularity. With fantasy sports gaining a more mainstream audience, sports such as fantasy golf are becoming huge amongst fantasy sports players. Fantasy golf pools, which were once reserved for just the local diehards in the clubhouse, have grown in popularity to become an online sensation, where you can win real money by proving your knowledge online playing in pools or weekly games and contests. There are a few different types of fantasy golf games that can be played and from those there are various derivations so we have analyzed the more popular formats and created a fantasy golf strategy guide (below) for you to use when entering golf pools with your friends or co-workers. These fantasy golf strategies require some research on your part and at times a bit of luck but by applying these drafting methods, you will gain an advantage over your fellow players. Yearlong player pools are golf pools that lasts the length of the golf season. These pools can draft as a traditional up and down drafts where every player is drafted only once, or secondly as a pool where individuals simply pick a set number of golfers allowing for duplicate players to be taken (ie, more than one owner can have a specific golfer). A third option is having a salary cap using the previous years' money rankings to create totals for a cap. All three formats of year-long player pools are condensed into a format that accumulates points at each golf tournament throughout the year using a designated point system. More often than not, a salary cap pool or the duplicate player option pool is used. Some golf fans only watch the four major tournaments, so having the office golf pool only set up for The Masters, The U.S. Open, The British Open and the PGA Championship allows less dedicated fantasy golf owners to enter and still enjoy being in a fantasy golf pool. The PGA also created the Fedex Cup a few years back as a way to create an ultimate championship for the players to decide who the best of the season was. The Fedex Cup has allowed fantasy golf pool players to have an extra source for their fantasy fix. Probably the single most important factor between winning and losing is knowing the rules of your fantasy golf pool. Knowing what type of pool you are in and learning the scoring system for your fantasy golf pool will help you pick which players will get the most points. Do you get points for wins? Is it a pool that simply values money winnings? Do the major tournaments have more value than regular tournaments? Most golfers play between 20-30 tournaments each golf season. You want to avoid players that finished below the cut of 125 on the previous year’s money list. Anyone below 125 will be scrambling for exemptions and invitations to play. You want to pick players that will be eligible to enter every tournament. The four majors bring out the best players and players that are too low on the money list may not qualify. If your pool relies on extra points from the major tournaments, be sure to pick players that will be entered in all four majors. A player may have done poorly last year but been a top player every year prior to that bad one. You need to investigate the reasons for the poor year: swing changes, injury, age, personal issues? A bad year could have been an anomaly that could be rectified in the new golf season. Unless your pool gives big points for wins, look for golfers that consistently make the cut, or place in the top 10, or top 25 of tournaments. 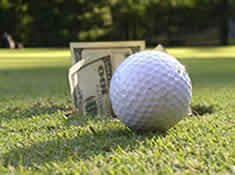 Some golfers can rack up huge money rankings throughout the golf season and never win a tournament. If a player always finishes near the top, this could be the year that the wins start to come. A player who won 3 tournaments last year may never win again. Vijay Singh, Jim Furyk, Retief Goosen were all great golfers that suddenly had age catch up with them and they began to have horrible seasons. They may still pick up wins, but as older golfers age, they play less which results in less opportunities for wins. Aside from The Masters, the other 3 majors move around to different golf venues. Certain golfers play well at some and not well at others. Keep these courses in mind. For week to week pools it’s important to see who is playing well and who isn’t. If a player has a few top 10 finishes in a row, they could be poised for a victory soon. Alternatively, if a golfer has had some poor showings lately, they may need to be avoided for the next few weeks while they work some stuff out. Golfers commit to tournaments and then may pull out after the end of the previous tournament. There is nothing worse than submitting a fantasy golf lineup only to discover one of your players pulled out due to injury or simply because of circumstances. Luckily, you are not alone in doing your research homework for the larger fantasy golf events such as the 4 majors. Real Money Fantasy Leagues is doing a lot of the homework for you. We run down the top longshots, favourites and other likely players to do well for each important tournament. You can find a list of tournaments which we make our picks and predictions for along with detailed analysis by checking out our Fantasy Golf page. Want Expert Fantasy Golf Picks? Now that you have your fantasy golf strategies in place, put them to work by playing fantasy golf online. If you don't want to bother to take the time to analyze the field, some expert fantasy golf picks may be just what you need. Check out GOLFBANKER for expert fantasy golf picks from a professional PGA Handicapper and take your fantasy golf game to the next level!